BusNSW is urging New South Wales political parties to consider the needs of rural and regional contract operators as contracts are due to be renewed as the State Election nears. The association has released the ‘Bus and Coach Services – A Need for Partnership’ election brochure which identifies eight policy settings that can be improved and five practical initiatives to improve bus and coach transport services in the state. BusNSW executive director Darryl Mellish says the Rural and Regional (RR) contracts are at a critical stage where negotiations need to be led by industry with the State Government. In NSW there are three contract cycles where the long term public interest is achieved by improved partnerships regardless of the procurement model - Metro, Outer-metro and Rural and Regional. 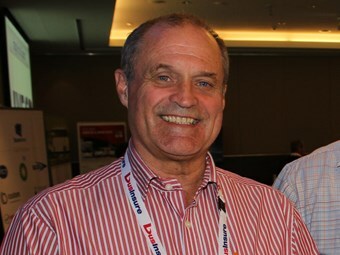 "The Metro contracts are now under a tender regime, the Outer-metro contracts are under a short term contract pending a government policy decision on negotiation or tendering for the next contract, and the RR contracts are at a critical stage where the procurement model should be based on an industry negotiation led by BusNSW," says Mellish. "However Transport for NSW is looking to reduce operator revenue by limiting transparency and using cost benchmarks which are yet to be disclosed." There are 688 RR contracts in the state which need to be renewed. "The current approach from Transport for NSW is to limit the amount of industry involvement by pushing ahead with metro style contracts without disclosing or road testing the sustainability of their proposed funding model," says Mellish. "We think that the average MP does not support this approach for rural and regional communities." BusNSW has some ideas of what the process of establishing the new contracts and the content of the new contracts must be based on. This includes the process – a full transparent consultation with the industry on the terms and conditions for the new contracts – and a commitment to minimum service levels for route and school services in Rural and Regional NSW. Contracts should also be ‘plain English’, have sensible reporting and performance standards developed in consultation with industry and other stakeholders with suitable tenure and extension options. The New South Wales Election will be held on March 28, 2015.